In the recent 15 or so years, the Li-Ion battery packs have successfully overtaken the cordless industry. 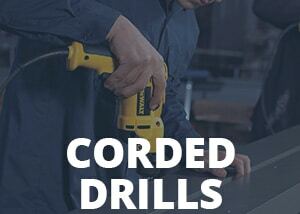 The cordless tools powered by these batteries offer a performance that almost matches that of the corded devices -it’s something that both hobbyists and professional contractors were waiting for. When it comes to cordless circular saws, those manufactured by Milwaukee are undoubtedly some of the best on the market. That is precisely why we’ve decided to take a closer look at their 2730-20 model, a member of the M18 FUEL family and a saw that has quite a lot to offer to the user. In the following paragraphs, we’ll be taking a quick look at the model’s features and check out its design and power. Keep on reading and find out if Milwaukee 2730-20’s capabilities match your needs -maybe it is the cordless circular saw you were searching for. At its heart, this circular saw has the company’s signature POWERSTATE brushless engine. Milwaukee advertises this motor as one that outperforms all other engines found in 18V cordless circular saws. It is, indeed, very powerful -the performance should suit a construction worker for most of the cuts he needs to make on a daily basis. The unit’s design is as equally impressive. Thanks to the cast-magnesium shoe and guards, the model’s base is both durable and lightweight, so there’s no need to worry about possible impact damage or user fatigue. On the other hand, the unit’s handle provides an excellent grip and reduces the chances of slippage due to its rubberized surface. There is also an integrated LED headlight that allows working in areas with poor illumination and a rafter hook which enables quick storage on the job site. Weighing close to 7 pounds and having the dimensions of 6.5″ x 13″ x 7.5″, the Milwaukee 2730-20 is a relatively compact and lightweight circular saw. It is, in other words, very easy to work with -longer cutting sessions won’t give you blisters and arm aches. Besides the compact size, another thing that makes this unit so easy to handle is its over-molded, rubberized handle. It is located on the back of the device and has a contoured shape that gives a great fit in hand. However, the most impressive thing about this saw’s design is that both its shoe and guards are made out of magnesium (unlike on older models, where they were made from aircraft aluminum). This doesn’t only decrease the overall weight of the saw, but it also makes it more durable and increases its lifespan. We were also quite pleased to see the presence of two additional features -the LED light and the rafter hook. The light is not just a gimmick, as it works pretty well and actually helps the user to see where he is cutting. The hook, on the other hand, allows quick storage and folds up when it’s not needed. Pretty convenient, wouldn’t you say? As an M18 FUEL power tool, the 2730-20 operates on a brushless motor. It spins the disc at the speed of 5,000 rotations per minute, with enough torque and power to make precise cuts through all sorts of materials. With a 5/8′′ arbor and the maximum bevel capacity of 50 degrees, this versatile device will let you perform and complete most of the cuts you might need on a daily basis. Just like most other power tools in the M18 lineup, this one also operates on Milwaukee’s REDLINK intelligence system. It’s an innovative feature that provides optimized performance and delivers the necessary protection from over-discharging, overheating, and overloading. The thing that turns this saw into a real team player is its capability to be used with several M18 battery packs. For more work-per-charge and more runtime,we advise using it with an M18 REDLITHIUM XC 5.0 battery pack. Although not flawless, the design of this cordless circular saw is thoroughly impressive. Both the choice of materials and the overall fit and form of 2730-20 make it very durable and easy to use, which is an essential thing when it comes to cordless power tools. We were quite pleased to see both the LED light and the storage hook included in the deal. Both of these additional features serve their purpose and are not just gimmicks. The rafter hook is particularly useful, and it even folds inside the device when it’s not in use. Power-wise, this saw works like a charm and easily takes care of most of one’s cutting needs. As it features the maximum bevel capacity of 50 degrees and a powerful brushless engine, it is very efficient and has enough torque and speed to cut through plywood. Besides the fact that it comes without a laser guide, the Milwaukee 2730-20 also has a poorly located hex key storage. It is situated inside the handle and makes the key fall out every time you use the saw sideways. To keep the hex key in its place, you’ll have to use a rubber band or a zip tie. Most of the woodworkers and home owners who bought this circular saw have no complaints about its design or performance. They praise the model’s solid base, ease of adjusting, as well as the good battery life. They say that it’s a reliable piece of equipment andthe only device they need for almost all of their cutting needs. This cordless circular saw is yet another great Milwaukee product -it looks and works just as advertised. The combination of its brushless engine, REDLINK intelligence system, and high-capacity REDLITHIUM battery packs brings stellar results, while the inclusion of a LED light and a rafter hook only make the model even more versatile and convenient. It is one of the best cordless saws for the money and a model that easily meets anyone’s needs.